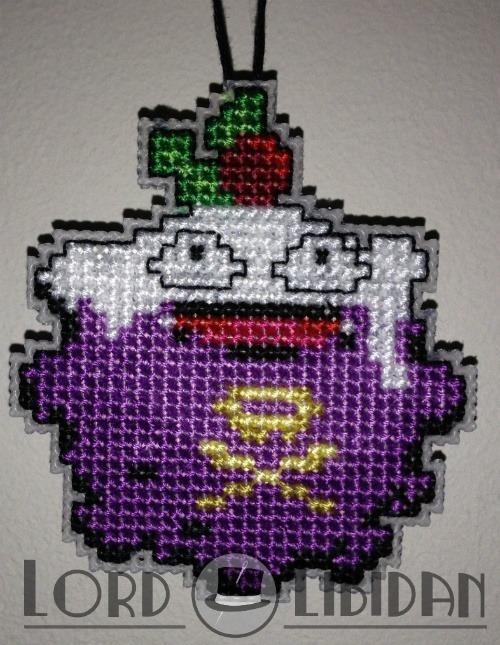 I luckily stumbled across these Koffing christmas patterns by my friend EveningEmma on Sprite Stitch. She did one with a santa hat, however, knowing my previous years Pokemon attempts, I took the christmas cake! They also for perfectly with last years!